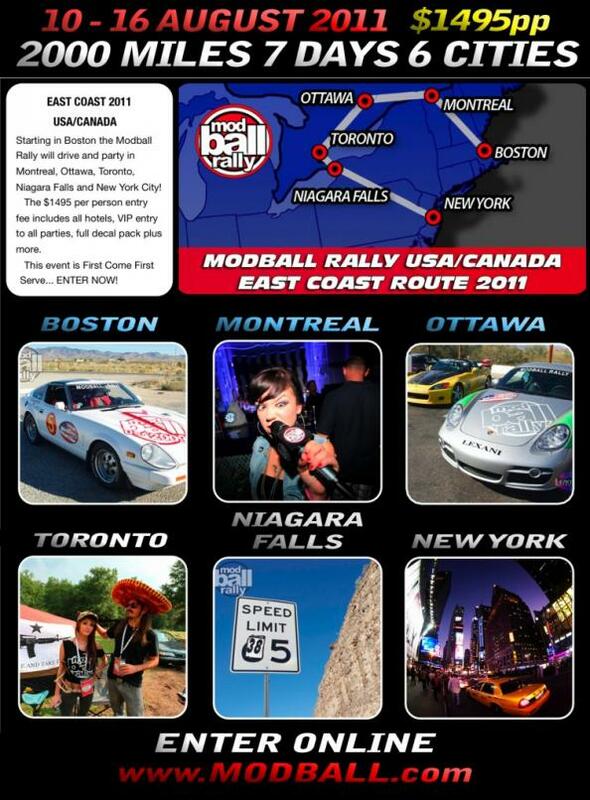 Only 2 months until the 2011 East Coast Modball Rally! To enter your car click here http://www.modball.com/entry/usa/. I'm waiting of this with my excitement ! Quick Reply: Enter 2 cars on the Modball Rally and receive $1000 off per car.